Why should I care about Dave Ramsey’s Total Money Makeover? What are these Baby Steps you speak of? 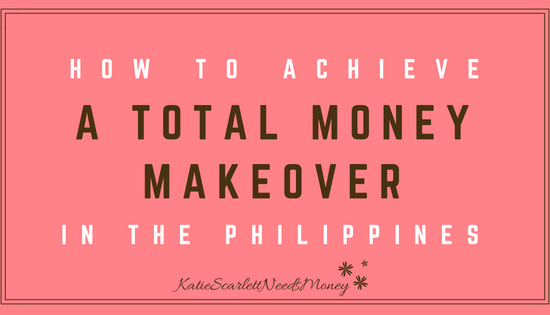 So how do I achieve a Total Money Makeover in the Philippines? Baby Step 7: Build wealth and be free! 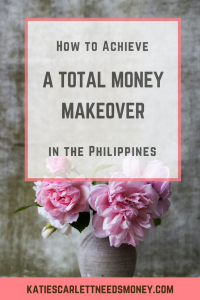 I’ve been trying to follow the financial advice of so-called experts to try to achieve a total money makeover in the Philippines but nothing seemed to stick. Most of the advice I found were either the feel-good touchy-feely type (you have to think positive thoughts to attract wealth), too unrealistic and out of touch with how human beings work (don’t spend on ANY luxury and eat beans and legumes for an entire year), too chaotic and/or unstructured (set aside 20 percent on savings and don’t stress about the rest), or can land you in small claims court (pay yourself first before paying your creditors). These advice may work for other people but not for me. Me, I need structure. I want lists, bullet points, flow charts. I get a kick out of writing to-do lists and then ticking them off. I have an entire shelf of personal finance books in my home mini-library, not to mention the hundreds of blog articles I bookmarked online. Sure, I understand them. But their messages just did not resonate with me. That’s why I was so excited when I discovered Dave Ramsey earlier this year. Turns out, he’s been around for decades and I was just out of the loop. Dave Ramsey is the author of Total Money Makeover, the host of the radio program appropriately titled The Dave Ramsey Show, and a teacher through his Financial Peace University course. You can visit his official website here. More importantly, Dave’s Total Money Makeover has helped hundreds of thousands of people all over the world become debt free and be financially independent. His methods are called Baby Steps. The Baby Steps are easy-to-follow and understand step-by-step guide in getting out debt and saving to “live like nobody else”. The path to taking control of your finances is simple. It is hard, but simple. Because even before buying Dave’s Total Money Makeover audio book, I’ve become a regular listener of his radio program, which I download through the Stitcher app. In every episode, Dave has guests visiting his studio in Tennessee or calling in via Skype share how they successfully eliminated debt and celebrate by doing the “Debt Free Scream”. Watch some of the awesomest interviews and debt free screams here. Anyway, to listen to the radio show through your phone, download Stitcher app through Google Play Store or Apple Store then search for Dave Ramsey. 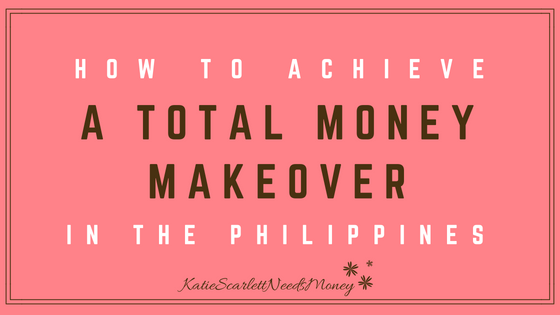 I thought long and hard how to achieve a Total Money Makeover in the Philippines. I think with a little bit of creativity and planning, we can what hundreds of thousands of people all over the world has achieved. To summarize what Dave says in his book, to achieve financial peace, you have to follow these 7 Baby Steps. I’m very sure that you have seen these steps before. You’re right. These are nothing new; no secret hack that will help us magically achieve our financial goals, just work, discipline, and as Dave says, gazelle intensity . In fact, many other finance authors give these pieces of advice in one form or another. But all of the books and blogs I’ve read, no author’s work has resonated with me as much as Dave’s work did. It has structure. It tells you exactly what to do first before proceeding to the next one. I know for a fact that many of us from the Philippines are skeptical of financial advice written by American authors and experts. Many of what they say cannot be implemented in the Philippines. Click To Tweet For example, when they say we have to maximize your contribution to 401 (k) and then contribute to Roth IRA, our first question is: what are those? We have no similar schemes in the Philippines, leading us to discount the rest of their financial advice since these don’t apply to us. Which is unfortunate really because many of us young people become prey to get-rich-quick schemes like pyramid scams or investing in bitcoin and other cryptocurrencies, hoping to hit the jackpot but actually losing our shirts in the process. Many of us want to start investing and growing our money right away instead of paying off our credit cards and other personal loans. But Dave teaches us to build our financial foundation first before we build high. 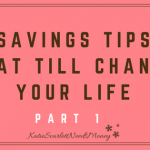 Before we dive in, I would like to make a quick reminder that even though there are only 7 baby steps, some of us can take years to achieve a total money makeover . Heck, some of us can even take years to achieve Baby Step 2 (paying off debt). But that’s okay. Achieving financial freedom is not a sprint, it’s a marathon. Dave suggests that we save $1,000 as a baby emergency fund. But let’s face it. $1,000 is equivalent to P53,000 (today’s rate). For many of us, P53,000 is an unrealistic amount at the beginning of our journey to control our finances. Targeting a high amount at the beginning will just discourage us. Instead, I suggest that you look around and assess what your usual emergencies are. 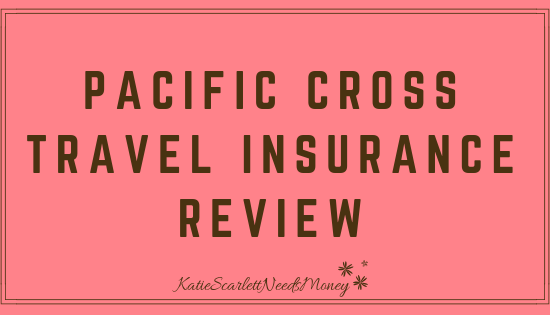 Having been both a low income earner and high income earner, I noticed that if you have a lower income, the costs of your emergencies are also lower. The higher the income you have, the higher the costs of your emergencies are, too. So if you have a lower income, why not start saving between P10,000 to P20,000 OR whatever you can realistically save in one to two months? The goal of Baby Step 1 is not to give you a fully funded emergency fund. It is only to make sure that minor life inconveniences will not stop you from chasing the next Baby Step, which is paying off your debt. A full fledged emergency fund is not yet required until we get to Baby Step 3. This is also a great time for you to have a thorough financial housekeeping. At the start of your financial journey, make sure to make a thorough budget. Make sure that you tell your money where to go instead of wondering why you always run out of money. List all of your expenses to figure out which bills you can reduce. I use the free version of Every Dollar App to write down all my expenses and income. If possible, pay everything with cash. If you can’t pay in cash, you obviously can’t afford it. Do not buy with debt! Review your finances. You might discover that you have money lying around, unclaimed/uncollected. See if you have money just waiting to be claimed. 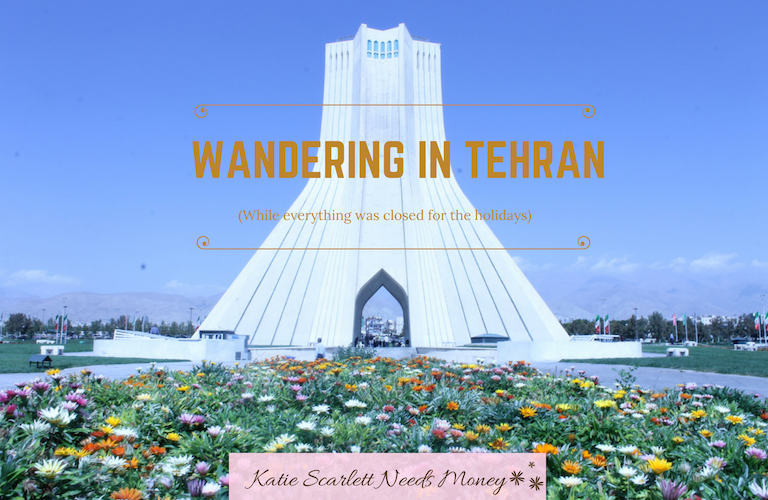 We usually have these stray money we fail to wrangle because we can’t be bothered. Now is the time to be bothered by “small” things. It’s like housekeeping, only with money. Additionally, for the love of all that is holy, PLEASE DO NOT ACQUIRE MORE DEBT! I love this Baby Step and I think it’s crucial why the Total Money Makeover works for me. See, for years I tried (operational word: tried) to save money for 3 to 6 months of expenses but in the end just got demoralized because I failed to make a dent on my debt and its growing interest. Now, after having baby emergency fund, I can start paying off my debt even without a large emergency fund. One of the hardest parts of achieving a total money makeover in the Philippines (and everywhere else for that matter) is realizing that finishing Baby Step 2 can take years, depending on how gazelle intense you’re going to be. For Baby Step 2, the goal is to pay off all of our debts except our home and rental real estate mortgages through the debt snowball. It is very important that we payoff our credit card, personal loans, and other consumer debts after saving that baby emergency fund. 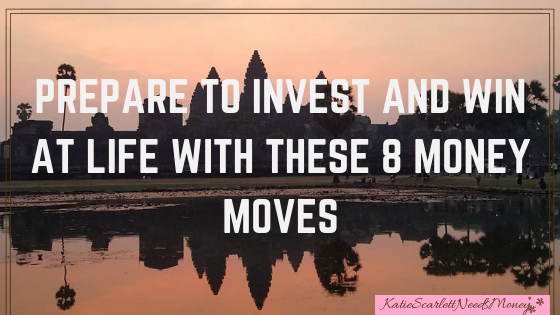 You may be discouraged at this point especially if you have a lot of debt to pay and you want to go straight to investing instead but restrain yourself! We need to practice what Dave calls gazelle intensity. Concentrate on your goal of escaping from debt like a gazelle runs from being eaten by a cheetah. To elaborate on the table further, we have 3 creditors: credit card A with P50,000 balance and minimum monthly payment of P4,500; credit card B with P35,000 balance and minimum payment of P2750; and personal loan with P30,000 balance and minimum payment of P1,500. We will pay the minimum fees for credit card A and credit card B and dump the rest of our money against the personal loan balance, regardless of the interest rates of the credit cards. Once one debt is eliminated, put the newly-available money to pay off the second smallest debt. In our case, once the personal loan is paid off, we can add the P2750 to the minimum payment towards credit card B. Repeat the process until Credit Card A is paid off. Why pay off the smallest debt first? Why not pay the debt with the highest interest instead, especially if it has a higher balance? Well, it’s because it feels good to see our debts obliterated one by one. Yes, paying off the debt with the highest interest rate makes more sense mathematically but people are not machines that respond solely to logic. We are predictably irrational. We respond to emotions, inspiration. Click To Tweet Plus, as Dave says, if you’re so good at math, why are you in this mess in the first place? Let’s try his way this time and stick with it. The Baby Steps have worked for millions around the world, I’m sure it can help us too. After paying all debts, you can free up the money to proceed to the next, more exciting steps. This is one of the reasons why it’s important to have an accurate accounting of your expenses each month. So you will know how much money you need for your emergency fund. People think emergencies won’t happen to them. They would even ask – sarcastically – what kind of emergency would require you to have 3 to 6 months’ worth of savings at hand. I don’t know. That’s why it’s an emergency. If we know that something bad is going to happen ahead of time, it will no longer be an emergency. 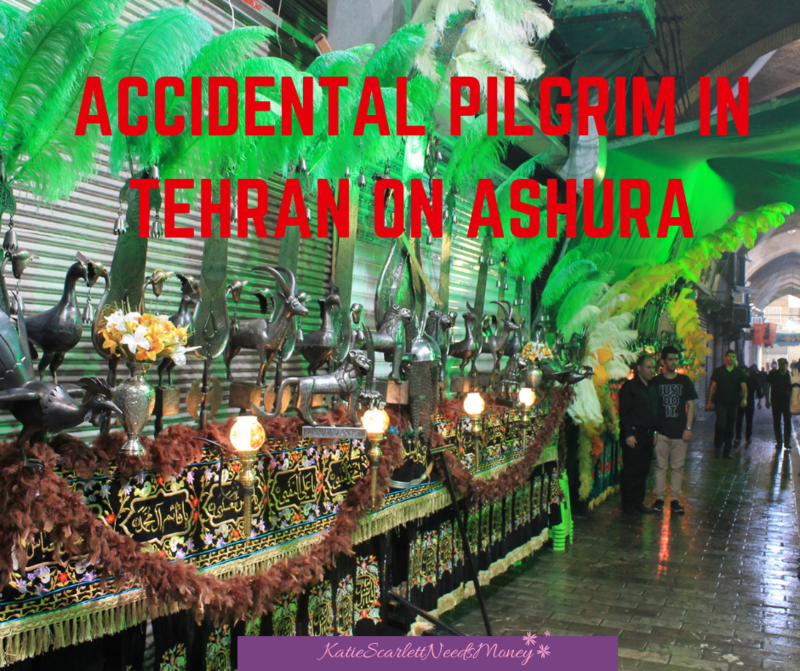 We will be able to plan and it will only be an inconvenience. What’s certain is an emergency is going to happen sooner or later and it’s best if we’re prepared for any eventuality. Implied here although not stated outright: please do not buy unnecessary things while at Baby Step 3. Yes, you’re now debt free. Let’s keep it that way. The release of a new cellphone is not an emergency. A sale in your favorite bookstore is also not an emergency, as much as we book lovers think it is. You don’t need a new bag, or worse, a new car. So if those are not emergencies, what do we consider emergencies then? Sudden medical fees. Giving birth is not an emergency. You need to be pregnant for 9 months! You have enough time to save up! Major household repairs after typhoons, floods, etc. Wait, you’re thinking. You work so hard and you “deserve” to replace your old phone or have a fancy meal in the restaurant. Do you deserve to have these things? Of course you do. But do it in the future, when you’ve already paid off your debt and is safely away from the cheetah. Another reason to have an emergency fund: to keep your investment safe. 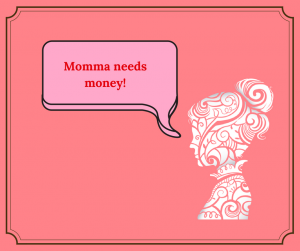 Say an emergency pops up and you don’t have an emergency fund (gasp!). What do you do? You dip into your retirement savings, your other investments to cover the emergency. It won’t be so bad if your investment made money (it still won’t be ideal) but what if the market is down and your investment lost value? You would now be forced to sell at a loss. The point is, have an emergency fund before investing your money. Finally! We’re now at a position to start investing for retirement. 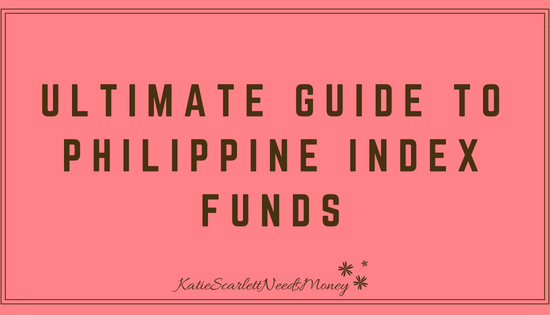 We usually read terms being thrown around by US-based finance bloggers and experts that are unfamiliar to us in the Philippines: 401(k), Traditional and Roth IRA, etc. 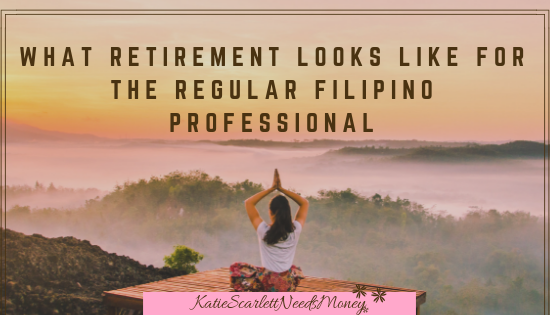 While we don’t have the exact equivalent in the Philippines, we have government schemes that are geared for retirement such as the Personal Equity and Retirement Account (PERA), SSS Peso Fund and SSS Flexi Fund. Private companies also provide retirement programs and provident funds for their employees. How it works is, your employer will deduct a percentage of your salary and match it. Usually, the employee share is from 3 to 5 percent which the employer will match up to 10 percent, sometimes more! To put this into perspective, say your salary in a call center is P25,000. Your contribution is P725 and your employer will contribute P2,500. That P2,500 is free money, which you will never get if you don’t participate. One of the most exciting things to happen in retirement finance in the Philippines in the past year was that the PERA or Personal Equity Retirement Account was finally approved for implementation in late 2016. BPI and BDO started accepting PERA contributions in 2017. Your gains in PERA accounts are tax-free! This means that you get to keep your entire investment (except for the fund management fees) and its profits for yourself as long as you only withdraw after the age of 55. Those who are based in the Philippines can invest up to P100,000 a year in while those who are based abroad can invest up to P200,000. 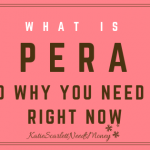 It’s not much, but PERA can be the foundation of your retirement fund. Make sure to maximize your contributions to PERA before topping up your other investments. Follow this link to the BPI PERA and this link to BDO PERA. These are your usual investment vehicles like mutual funds, bonds, UITF, etc. My investment horizon is more than 30 years so I want to be as aggressive in my investment. So I invest in index mutual funds. As a rule, I only put money in my taxed investments after I already maximized my PERA account. Now you might be wondering, why is saving for our kid’s tuition only the fifth step? Isn’t it very important to save for college? Yes it is but not as important as funding your retirement. Why? To avoid being a burden to your child in your old age. There are options to pay for college but you won’t have another option to pay for yourself after retirement unless you continue working until the day you die OR require your child to support you. Your child can apply for scholarships or go to state universities where tuition is free. They can also work while studying. Of course, if you still have funds freed up after investing for retirement there’s no reason why you shouldn’t do Baby Step 4 and Step 5 at the same time. But always remember that your priority is investing for retirement. If you don’t have a kid yet or are not are planning on having kids, use that money to either proceed to Baby Step 6 or Baby Step 7. So how do you save or invest for your kid’s college money? I think that depends on how long you have until your kid gets to college. If you have a young child, you might want to invest in index mutual funds since time is on your side. Index mutual funds are best if you intend to withdraw your money after 5 to 10 years. If your child is already in high school, that means you would need the money in the next few years. It is not optimal to invest in high-risk vehicles. What if the market drops in the next couple of years? You would need to conserve the value of your money. In that case, I recommend that your either invest your child’s college money in money market funds or treasury bills. You might also want to take advantage of government schemes such as Pag-IBIG’s MP2 program or SSS Flexi Fund. Both Pag-IBIG and SSS funds are guaranteed by the Philippine government so your kid’s college money is safe. Towards the end of our total money makeover in the Philippines, one of our major goals will be to pay off our mortgage and fully own our homes. Owing our homes is one of the ultimate goals of Pinoys. If you’re paying your home loan, make sure to pay more than the monthly due. If you have a Pag-IBIG loan, make sure to inform the processor to have the excess payment applied to principal. Same thing with loans taken from banks. Sometimes, you have to be clearer with banks since they do not automatically apply any excess to the principal. 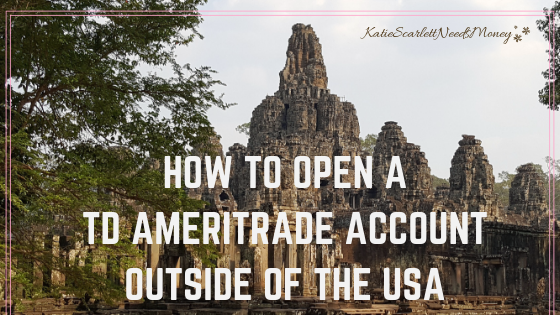 Instead, they apply the excess to your next month’s payment which means interest is taken out first instead of being applied to the principal balance. This is to the bank’s advantage. I know this because I used to work for a financial account in a major call center. The borrowers thought they were paying off their loans early by sending in extra money every month, not realizing that they were actually making the bank richer by paying more interest instead of reducing their principal. Customers regularly yelled at us for not automatically reducing their principal balance. If need be, learn the concept of simple interest (most loans are simple interest) and be prepared to explain to the bank teller. Although I assume that bank officers are knowledgeable about interest and such, you can never be too sure. Educate yourself! After years of hard work and discipline, you finally made it. You are debt free, you have a fully funded emergency fund, you’re on your way to a cushy retirement, your kid has money for college, and your home if paid off. 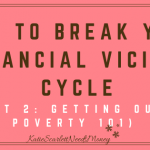 You’re now financially free! 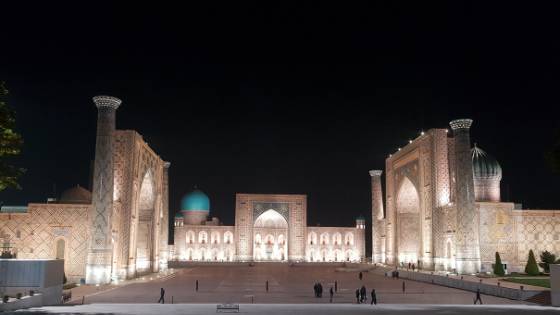 Do you want to travel? You can now. Do you want to give to your church, favorite charity, help family members go to college? You certainly can. You can even start your own business or take part in other high-risk investments. Nothing’s stopping you now. This is the stage where you will have the most fun with your money. You will no longer be saddled with paranoia, scared that one mishap will wipe out everything you’ve worked hard for and leave you and your family destitute. You can now relax and take more risks with your EXTRA money. 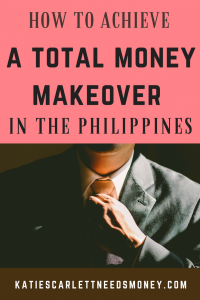 Is achieving a total money makeover in the Philippines a possibility for us Filipinos? Let me know what you think. That’s great to hear, Nina. 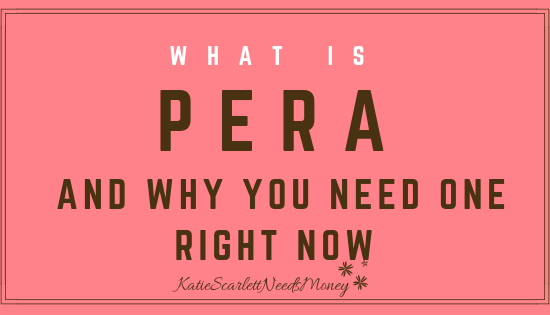 I also have a new post about PERA which you might want to check out. Hello! Very informative article po ito. Question ko po is let’s say I have an extra 5k a month, should I put it all muna sa PERA account? And maximize the 100k before putting the money to other investment vehicle?